A fighter on Bank employees front! This day -what a piercing pinch? You favour a woman, you are lost ! Howsoever gigantic it is, any task has to be pursued with strength, will and determination to elicit the desired goal. No strength, no results. ‘Right is the might’ is the logo of certain unions but right sans strength is meaningless. Innumerable trade unions have mushroomed since our country became independent, many for the name sake without legs to stand and there are certain ones which are giant sized with few of them sponsored and patronised by some political party or the other as their parents. Their political interest comes first for them and workers interest is just secondary. Banking industry in India has numerous unions with their affiliation to some federation or confederation. Their managements always keep them in good humour but hardly ever concede to their major demands. The retirees from these bank too have their unions and Federation but they are toothless in the absence of their capacity to agitate or go on strike. Currently there are two major areas for them –pension issues and compassionate appointments which are pending for the last several years and none in the management or even Government of India is prepared to pay them any heed realising that they are all in the wrong side of their age. This is just so callous a conduct. 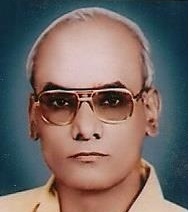 Rule of making compassion based appointment was very much there in State Bank of India but was unilaterally withdrawn by them at the end of 19th century depriving the dependents of the employees dying in harness what was called compassionate appointment which action dragged their families to the point of starvation. Their cries of pain failed to secure the attention of the authorities concerned. The aggrieved pensioners and the claimants of compassionate appointment strongly feel that the case is not adequately followed up by their respective unions and they are more submissive than aggressive on demands and this snag is landing them no where. To bite a fruit the respective leaders of the union have possibly yet to develop their teeth in the shape of a result oriented struggle. My family has always been union supporter, including myself. Yet the only real weapon that unions have, is withdrawal of labour. This weapon is pretty much useless, in the face of overwhelming population and machines. The union officials, largely enjoy a tenured position. Which further decreases their popularity. What unions nowadays should be focussed on. Would be health and welfare of the members. For a happy worker is a productive worker. Proper pensions are always going to be an issue. Spending money on things that war, is never as profitable as a happy retired population. Who will spend money back into the economy. The investment bankers look for always the profitable ways of increasing their wealth. Yet miss out on the stabilizing structures of society. They are in essence … short-sighted. They are a blot on society. Cheers Jamie. The coverage of the issue so extended by you in an academic order contains several pointers to the interest of the readers of this blog. I am keeping this comment to be used exclusively as a post in days to come. My sincere thanks with regards. I vividly remember one sane middle level leader had opposed the efforts of the SBI Officers’ Federation to seek Directorship on the Board of the Bank. The one who opposed, though a good visionary had his own weakness and just because of his weakness – not because of his good thought, was sidestepped. Today, a top level officer bearer finds pleasure in claiming the title “Retired Director of SBI”. But what has happened over the years, because of such foolhardy ambition of few individuals, the serving officers as well as pensioners are put to unbearable hardship. Can any sane person explain why pension gets reduced after salary revision. It has happened in the form of 10th B.P. salary revision agreement. It appears that Bank managements have suggested those pensioners who retired between 1.12.2012 and now to opt for lower commutation on pension to protect their net pension!!! Oh! What an idea sirji! QUITE APTLY SAID WITH A MEANINGFUL EXPRESSION. MY SINCERE THANKS. Would you kindly share d present position of this case. Please refer NEWSPAGE of this blog. My thanks. Jai Hind or Jai Bharat or both? 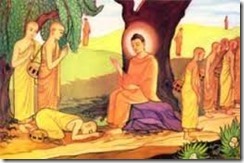 Which caste Lord Budha belonged to ?